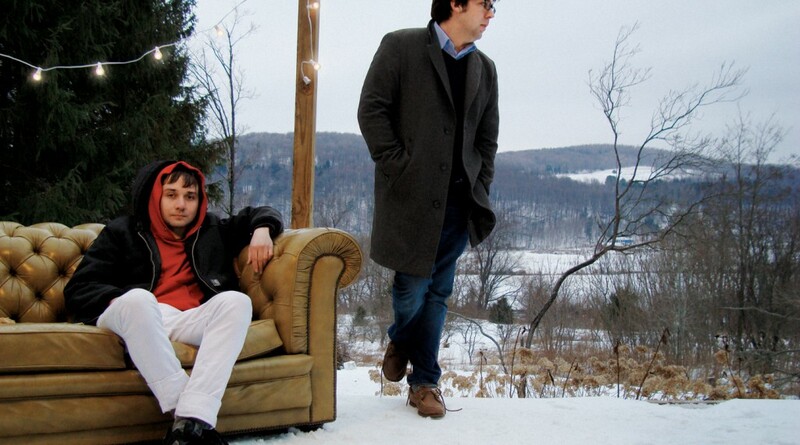 Daniel Rossen and Fred Nicolaus, known collectively as DEPARTMENT OF EAGLES, have released relatively little music together, and their catalogue may seem a little schizophrenic. How did they develop from college room-mates goofing off with sampling software into the harbingers of an atmospheric and grandiose symphonic pop sound? “ARCHIVE 2003 – 2006”, comprising previously unreleased recordings by the pair, provides the missing piece in this process. By 2004, Rossen and Nicolaus had grown weary of the piecemeal, tossed-off quality of their first album, 2003’s The Cold Nose. Partly inspired by bootlegs of SMiLE and Van Dyke Parks’ Song Cycle, they began writing pieces that reflected an interest in a kind of sophisticated, dark Americana. At the end of their time at New York University Rossen recorded a series of short piano-based pieces in the school practice rooms, included here as the “Practice Room Sketches”. These pieces were casual experiments in recording and layering, but they contain some DNA for both the style and substance of the songs he would write over the next few years, both for Department of Eagles and Grizzly Bear. (For example, a small section of “Practice Room Sketch 1” became the basis for Grizzly Bear’s “Easier”.) Throughout 2005 Rossen and Nicolaus traded demos and decided that if they were going to record again, they would do so without samples, and the songs would originate from a more sincere place. In January 2006 the band began a month-long session intended to produce their sophomore album. In retrospect, they had presented themselves with a rather ambitious endeavour: to produce and engineer a complete album using professional-grade equipment (with which they were largely unfamiliar), recording every single part in a month’s time. Alone in an enormous condo-turned-recording studio, they wrote and recorded songs in six-hour spans, staying up into the morning to write lyrics, teaching themselves to layer cello parts to create full string arrangements (what would become the epic ending to the low-key masterwork “Golden Apple”), but ultimately grew exhausted and discouraged. In the end the “January Sessions” were deemed a failure, but as Nicolaus points out in the liner notes to this collection, they were a necessary failure. It was the first time the pair had tried to record a complete album. In addition to the tracks from the “January Sessions” this collection also includes a b-side recorded in New York with some production by Chris Taylor of Grizzly Bear entitled “While We’re Young”. Cobbling together home recorded vocals and sounds on top of a more polished rhythm section recorded with Taylor, “While We’re Young” blends the playful experimentation of Department of Eagles’ early days with the large scale arranging style later heard on In Ear Park. Waggish and at times breathtakingly intimate, this set showcases the development of Department of Eagles’ detailed approach to crafting sounds. “Archive 2003 – 2006” captures their song-writing at a few moments of critical development and provides the template for the ambitious, sprawling pop of their later accomplishments.